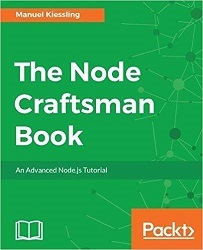 It shows you how to work with Node.js and how to think deeply about how you build your Node projects. You'll master how to build a complete Node.js application across six crafting milestones, and you'll learn many specific skills to achieve that mastery. These skills include how to work with the Node Package Manager in depth, how to connect your Node applications to databases, and how to write unit tests and end-to-end tests for your code. You'll experience the full Node.js development picture, and learn how to craft and control your Node.js applications - right through to fully-fledged web applications using REST, and integration with Angular applications. Manuel Kiessling is a software developer and IT manager living in Cologne, Germany. He's interested in Behaviour- and Test-Driven Development and Agile practices. Manuel has authored many successful books including The Node Beginner Book, and Beginning Mobile App Development with React Native.